Take a cue from professional carpet cleaners and harness the power of steam to remove even months-old stains that have firmly set in. You know and loathe the traditional way to clean a carpet. But however laborious it may be, there’s no doubt that blotting the stain can be effective—so long as you act immediately, before the stain has the chance to set in. What happens, though, if you fail to notice the stain right away? How do you remove it days, weeks, or even months after the fact? One option is to shell out for professional cleaning. Another, less-discussed method involves less hassle and costs nothing at all. The key? 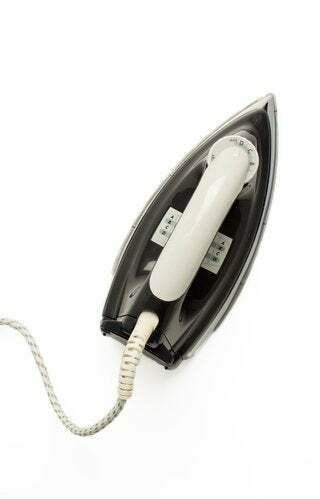 Your clothes iron. In a spray bottle, mix together a solution of vinegar (1 part) and water (3 parts). Alternatively, if you’re convinced of the need for extra firepower, combine 1 part clear ammonia with 3 parts hot water. Once ready, liberally spritz the entire stained area and leave it to sit for several minutes. Now lay an old, light-colored towel over the stain. Since the iron is going to transfer the stain to the fabric of the towel, don’t use one of your favorites! Meanwhile, a light color makes it easy to discern whether or not the method has worked for you. The dirtier your towel, the cleaner your carpet. With your iron to its highest steam setting, apply it directly to the towel, moving it back and forth over the stained area briefly, for about ten seconds. As you do so, expect the iron to hiss and release steam. Place the iron aside, lift up the towel, and look: You should now see the stain on the towel. If a mark remains on the carpet, lay the towel back down, being careful to place a clean section of the fabric over the stain. Again, apply the iron directly to the carpet for about ten seconds. 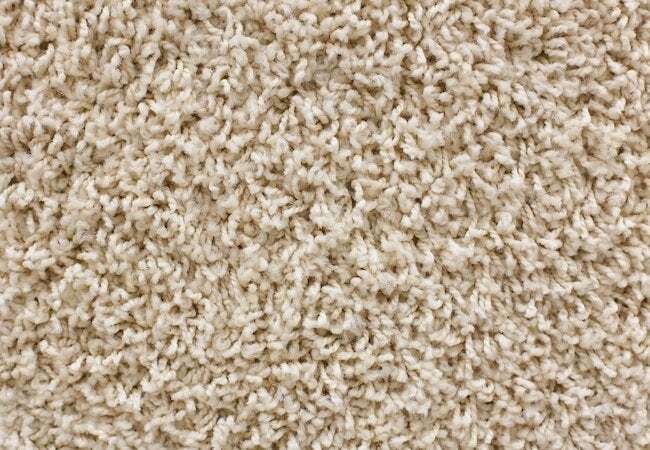 With additional attempts, the stain ought to transfer, gradually and completely, from the carpet to the towel. Once you’re satisfied, let the carpet air-dry. Finish by vacuuming the carpet to restore its fluff. As you work, take pains not to allow the iron to come into contact with the carpet (as opposed to the towel). The heat of the appliance can singe or melt the carpet fibers, whether natural or synthetic.